Our goal is to connect people with the best local experts. We scored wedding photographers on more than 25 variables across five categories, and analysed the results to give you a hand-picked list of the best wedding photographers in Madison, WI. Abbots Lane is a wedding photography studio in Madison. The photographer works closely with clients to capture stylized, fun, rustic, and traditional images. All packages come with a 10x10, 12x12, or 14x15 wedding album. Fully edited digital images with personal printing rights are also included. Amanda Red Photographer is a Madison photography company that has been serving couples since 2008. The photographer takes the time to get to know each of her clients to establish a comfortable and natural relationship. Wedding packages come complete with a complimentary engagement session and digital graphics that may be easily viewed, shared, downloaded, and printed. Luxury wedding collections, signature products, and hourly elopement-style coverage are also available. Anda Marie is a Madison wedding photographer that shoots locally and throughout the country. Anda has been taking photos professionally since 2010 and specializes in nontraditional and candid photography. She guarantees clients authentic and engaging images that tell a complete story. The company has featured on and in Green Wedding Shoes, Style Me Pretty, 100 Layer Cake, VSCO Journal, Wedding Cabaret, Landlocked Bride, Magnet Magazine, Brava Magazine, and more. Angelic Angles is the photography studio of Jennifer Anderson, based in Madison, Wisconsin. Angelic Angles specializes in weddings, senior pictures, engagements, and newborn and family portraits. The studio offers customized albums, metal prints, holiday cards, storyboards, and collages. Jennifer Anderson has been a professional photographer for more than 17 years. She mainly serves Dane and Jefferson counties, but she is happy to work with clients for events that are outside this area. Customers of Angelic Angles say that Jennifer is great with newborns and kids. They appreciate her willingness to create custom packages as needed and are happy to recommend her to family and friends. Anna Alethia Photography is a Cottage Grove wedding photography studio. The style is modern, creative, vibrant, and romantic, with emphasis on candids and motion shots. Videography and video fusion options are also available. Engagement session photography is also provided. The photographers take time to get to know each client, and will travel up to 300 miles round trip at no cost. Azena Photography has been serving the Madison community since 2008. Photographer Hillary Schave uses photojournalism and creative portraiture to capture intimate and major moments of the day in a natural style. Wedding collections come complete with black and white and color photography, unlimited captures, unlimited locations, one year of online proofing, high-resolution images on a flash drive with printing permissions, and pre-wedding consultations. Ala carte options include an engagement session, boudoir beauty session, a second photographer, wedding albums, and DVD slideshow. Caynay Photo, LLC is a wedding and engagement photography company in Madison that has been serving couples since 2011. The photographer utilizes natural light to create modern, vibrant, and radiant portraiture. The business has featured in The Knot, Wisconsin Bride, The Black Tie Bride, and Midwest Bride. Denise Arkola Photography is an Oregon wedding photography company that has been serving the community since 2009. The company is Wedding Wire Rated. The photographer specializes in photo-journalistic style to capture the wedding day story. Clients praise Denise Arkola for her attentive, professional, friendly, passionate, relaxed, and flexible work ethic. The company also takes engagement, newborn, maternity, children, family, and boudoir shots. Dutcher Photography is a wedding photography company in Madison. Photographers Rob and Samantha Dutcher specialize in quirky and colorful work and guarantee personable, friendly, and attentive service. Wedding packages include two photographers for up to eight hours, professional editing for all images, flash drive containing all photos in high resolution, a 12x11 hardcover wedding album, and a complimentary engagement session. Portraits of child, family, senior, and pet are also available. Elite Wedding Photography and Videography is a Madison professional photography company. The company prides itself on unique and affordable work that captures the joy and beauty of the wedding day. The photographers use a non-intrusive, journalistic approach to capturing the small and major moments of the celebration. Many photo and video packages are available and can include five-hour to full day coverage, an online gallery, black and white, color, and sepia images, a CD of all wedding photos, and a complimentary engagement session. Garrett & Co. Studios is a Fort Atkinson wedding photography company. The photographer has more than 15 years of experience with photography, writing, and graphic design. The studio specializes in documentary-style photography and environmental portraiture that captures the moment through a story-telling approach. Wedding packages include the engagement session, high-resolution DVD with images, pre-ceremony, ceremony, and reception. Katie Ricard Photography is a Madison wedding photography studio. The company has featured in Trendy Bride, On The Go Bride, Bridal Musings, Swooned, and Rustic Wedding Chic. 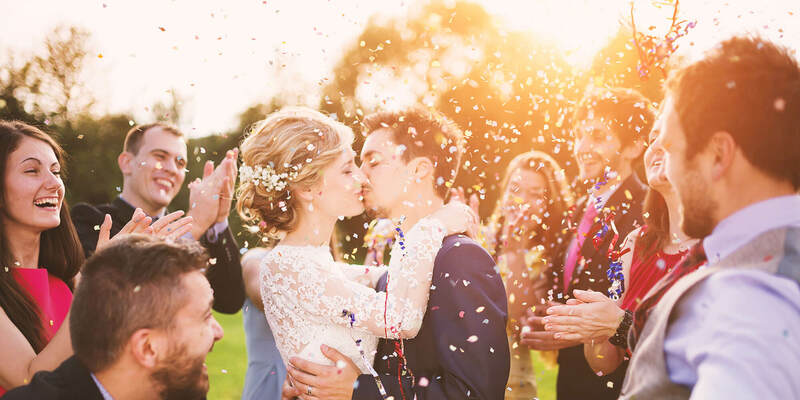 Wedding collections include six-ten hours of coverage, digital files, online gallery, custom 8x8 album, 5x5 duplicate gift albums, and printing rights. The photographer has been shooting professionally for nearly a decade and has her own wedding magazine. Engagement sessions are included in packages. Krakora Studios is a couple-owned Madison wedding photography company that specializes in visual storytelling. The photographers guarantee to capture beautiful, honest, and raw emotion throughout clients’ special day. Packages may include eight-hour coverage, photo albums, the engagement session, online proofing, and digital files to share with family and friends. Maureen Cassidy Photography is a professional photography studio in Madison. The founder is highly-trained in her field and prides herself on authentic, emotional, and natural images. The photographer shoots for weddings, engagements, family portraits, newborns, maternity, and boudoir both locally and internationally. The company is a recipient of Madison Magazine’s Best of Madison Award. Natale Photography is a boutique style wedding, maternity, and newborn photography studio in Janesville. The photographer uses natural light to capture documentary-style wedding photos with a fresh, funky, modern, and classic style. Founder, portrait artist, and photographer Stephanie Natale is a member of Wisconsin Professional Photographers Association and Professional Photographers of America. Nate Castner Photography is a wedding photography company in Madison. Wedding packages include full wedding day coverage with two photographers, professionally edited photos, images delivered within two weeks on a USB drive, online gallery, backups, and an app to share photos. Engagement photo sessions are also available. Clients rave about the photographer’s eye for detail, passion, and ability to capture the occasion. Peer Canvas is a couple-owned wedding photography and videography company in Beloit. The photographers guarantee clients gorgeous, quality, and innovative photo and video that tells a story of the engagement and wedding day. Photo style is artistic, romantic, emotional, dramatic, heartwarming, and cinematic. Peer Canvas was also the recipient of the WeddingWire Couples Choice Award for 2016. Queens and Hearts is a wedding photography company that serves clients in Madison and throughout the country. The photographer provides highly customizable wedding journalism packages with an organic, elegant, fresh, and honest style. The professionals provide an engagement session, two wedding photographers, up to ten hours of coverage, a photo booth with props, high-resolution digital negatives, full license to print, email, and share images, and personal online gallery. The company is a recipient of Madison Magazine’s Best of Madison Award and Wedding Wire Couples’ Choice Award.